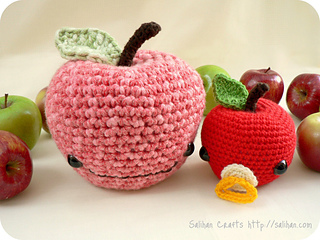 Who doesn’t love apples? 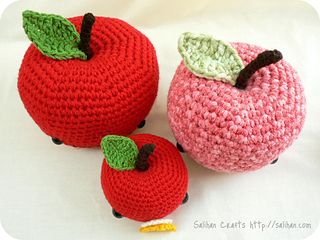 These are cute, big or small. 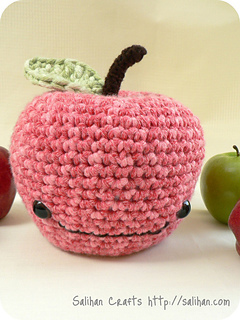 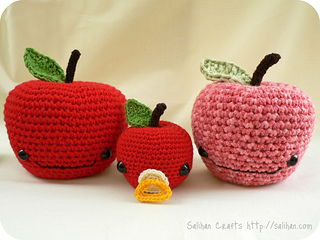 Johnny Apple is cuddle-perfect at 5.5″ tall and 21″ around the widest part. 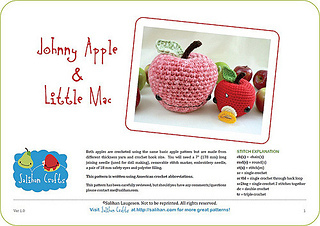 Little Mac is 3.5″ tall and 12.5″ around the widest part. 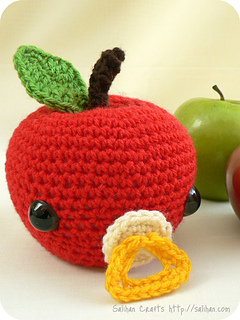 Small enough for little hands.